New! 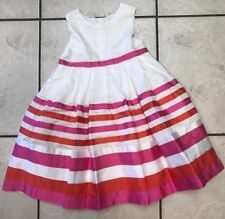 Girls CARTER'S Pink Brown White Orange Cotton Flower Dress Size 4 - NWT!! 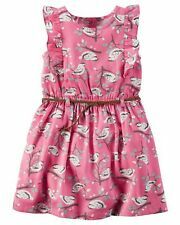 Playwear Girls Dress. 100% Cotton. 100% Polyester. Machine wash cold. Front length from shoulder to hemline – 27”. 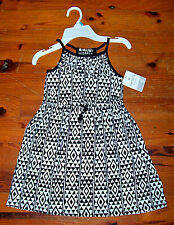 Carter’s Dress Size 6X Excellent Condition! 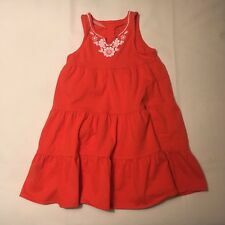 Carter’s dress size 6X comes in excellent condition! Worn once, smoke free home! If you have any questions, comments or concerns please feel free to message me. This item is ready to ship as soon as I receive a payment. Please pay with in 3 days or this item will be re listed. Ships free priority mail. Thank you for your interest and happy bidding. This is in excellent used condition. The dress is a light weight cotton material and it buttons in the back. It also has 2 pockets in the front of the dress. WHITE with POLKA DOTS. SIZE : 6X. SATIN A-LINE DRESS. SHORT SLEEVES. SHEL : 100% POLYESTER. AND A SHIRRED GATHERED FRONT BODICE. THERE IS A SMALL ORANGE-ISH STAIN ON THE FRONT-SEE PHOTO. OUTSIDE OF THE SPOT, IT'S IN REALLY GOOD USED CONDITION AND SUPER CUTE & COMFY! Size: 5 will fit 5T. 93% viscose, 7% elastane jersey. Machine washable. Color Black. Size 10/12. Short sleeves. FIRST for what we can do to fix your order before opening a case. This item was worn. WILL NOT be changed after item is paid for. MUST still be attached. 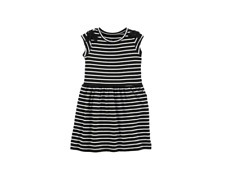 Size: 5 will fit 5T. Perfect for a special occasion or party! Size: 4 will fit 4T. It is just adorable and would make a great addition to your own angel's wardrobe. Dress available in size 6X. This dress is pre-owned, but it is in excellent used condition--just needs to be ironed. It has a pretty floral pattern on the dress. a perfect clean dress for fall/winter wear in wonderful clean condition. Floral pattern embroidered on front near bottom. 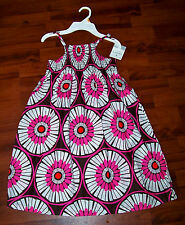 GIRLS CARTER'S SLEEVELESS BLACK WHITE FLORAL HOT PINK SATIN LINED A-LINE DRESS 6. 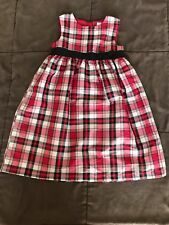 Girls CARTERS 5 black satin dress hot pink ruffle Gorgeous!